Tesla has finally confirmed the details for the market launch of its Model 3 in Germany, and the prices and configuration details for other European countries have also leaked out. There was always talk of the beginning of 2019, but now the Californians have released the details for a European kick-off date at the beginning of February. They also say it will now only be a matter of days until the configurator is activated in Europe. This means the chance to make binding reservations for the Model 3. However, as has been the case in the USA, only the premium versions of the Model 3 will be available – that is the Performance model or the long-range AWD model for delivery in February. According to Tesla, the timing of its deliveries depends on the time of reservation, and the place of delivery and configuration. 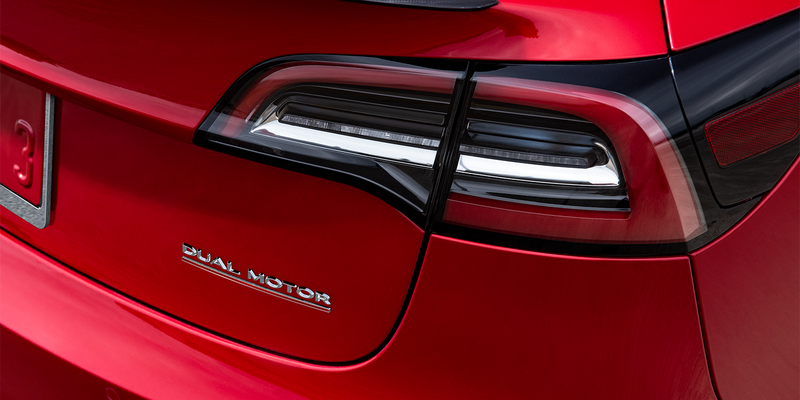 The European Model 3 will have a different charging port, opting for the continental standard CCS combo as we reported, with Tesla retrofitting its Supercharger stations to accept both of its proprietary connectors and the EU connectors. Included in the below prices for Europe is the black or white “premium interior” and 18-inch aero rims (the Performance model comes with 20-inch rims including red brake callipers). The autopilot hardware is a standard fitting, with buyers having to dig into their pockets to activate the extended autopilot. In Germany, the long-range version with an all-wheel drive will start at a price of 57,900 euros and the even more powerful Performance model comes with a price tag that starts at 68,600 euros. Tesla has confirmed these details to electrive.com. In Austria, prices for have now also leaked out: there the Model 3 with the largest battery starts at 58,300 euros and the more powerful Performance version at 69,100 euros. France: The Model 3 Grand Autonomy with an all-wheel drive is available from € 53,500 (eco-bonus deducted) and the Model 3 Performance model from € 64,300 (eco-bonus deducted). Spain: Tesla has announced that the prices of the Model 3 in Spain will start from € 59,100 for the version with dual engine and an all-wheel drive, and € 70,100 for the Performance version. Sweden: Swedish prices start at 650,200 SEK for the Tesla Model 3 long-range, dual engine, all-wheel drive. After the Swedish electric car bonus has been accounted for, the price ends up at 590,200 kronor. Tesla Model 3 Performance will cost 767,200 SEK before the electric bonus and 707,200 SEK after the electric car discount. Netherlands: for starters, only the longe-range and the Performance versions of the ‘small’ Tesla can be ordered. The long-range version with a 74 kWh battery and AWD starts at 58,800 euros, the Performance version at 69,700 euros.